Vietnam wedding photography with the most beautiful places of the South, Center and North in Vietnam. 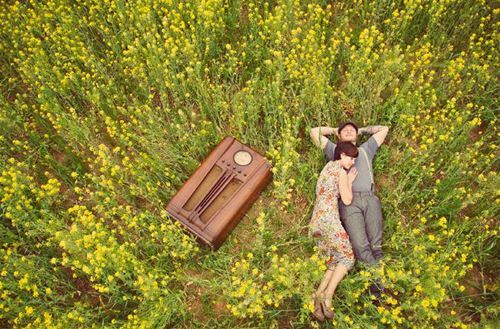 Bliss will introduce new wedding ideas for the couples and photos. Vietnam is a beautiful country with a mix of edgy urban with natural rural. You can find a lot beautiful places for your wedding photoshoot which suits for all of your concepts, from ancient to modern, sea to forest and indoors to outdoors. In the North of Vietnam, with the cool air and the romantic view 36 streets of Hanoi – capital of Vietnam, couples can have some lovely shoots there. 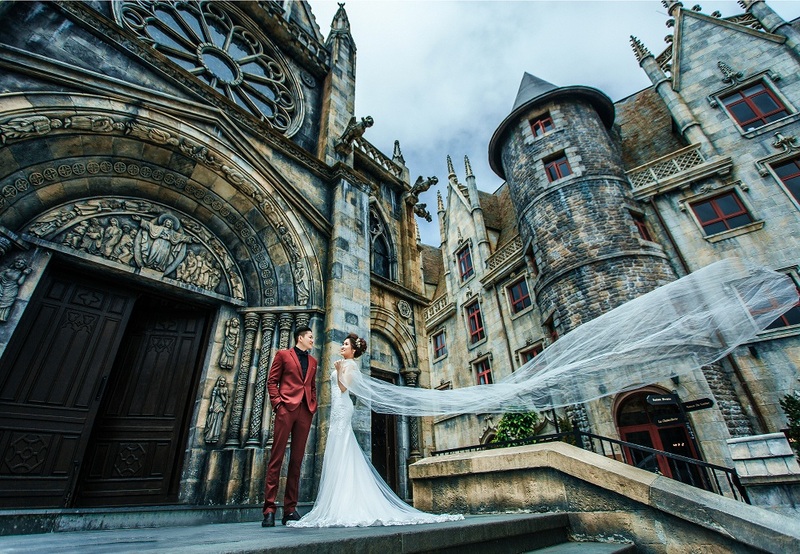 Besides, depending on your budget, Ha Long Bay – one of World 7 Wonders – will be the best place for your vietnam wedding photoshoot. Another place for shooting in the north is the highland such as Moc Chau, Son La, Sapa etc. If you are lucky, you can dive into many significant flower fields. Apart from beautiful shoots, couples can also consider those highland cities as your honeymoon because of fresh air and relieve atmosphere. 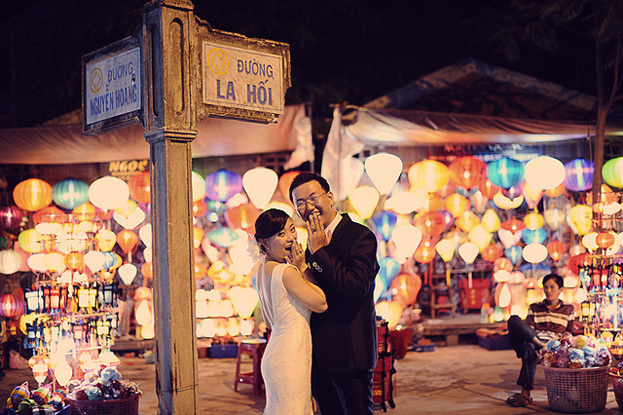 If you want to take your wedding photography in the center of Vietnam, make sure you don’t miss Hoi An accient town. This is the perfect town for Vietnamese traditional style with ao dai ( traditional wedding dress Vietnam), laterns and Asian romantic themed love story. Furthermore, this area is also famous for Da Nang city and Nha Trang city. Both are beach city with pretty coast especially Nha Trang with plenty of fanstatic islands for couples. On the other hand, Da Nang city is also a good choice with beach and lovely flower fields such as Son Tra mountains, Dong Giang tea field etc. 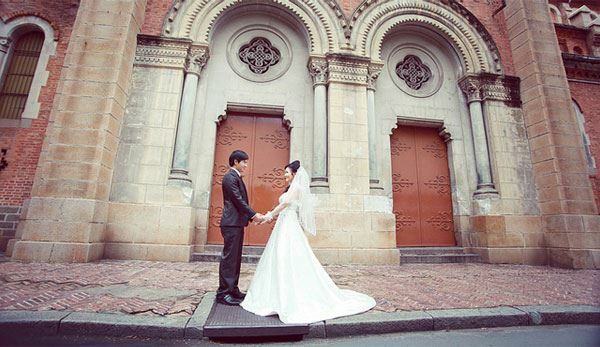 HCMC is definitely the perfect place for all of your wedding photoshoot’s concepts. If you want a Paris vintage style with retro checkered dress and beret, you can come to some French architectural buildings in HCMC like Notre Dame Cathedral, City Post Office, HCMC Art Museum etc. Also, you can have some nature themed wedding photoshoot in Binh Quoi or Van Thanh with many green set ups for couples, the wedding photographer vietnam is friendly.